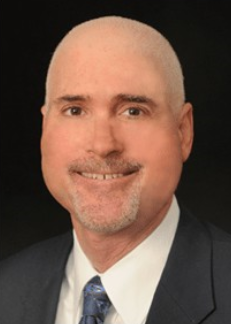 Cosmetic surgeon Ronald H. Schuster, MD, is Board Certified by the American Board of Plastic Surgery and Chief of the Plastic Surgery Division at Northwest Hospital Center in Baltimore County, Maryland. He is also head of his own private practice, which focuses on cosmetic surgery of the face, breast, and body. He has substantial training and experience in various areas of plastic surgery including rhinoplasty, face lift surgery, eyelid surgery, breast enhancement and reduction, breast lift, liposculpture, and abdominoplasty, as well as non-surgical treatments such as laser resurfacing and BOTOX® Therapy. After graduating from Emory University with a Bachelor of Arts degree, Dr. Schuster earned his medical degree at the University of Maryland School of Medicine. He went on to complete a full five-year general surgery residency at Sinai Hospital in Baltimore. From there, Dr. Schuster served a three-year residency and fellowship program in plastic surgery at Washington University's Barnes Hospital. During his time there, he developed professional ties with several world-renowned leaders in the field of cosmetic surgery. His work with these figures has afforded him the ability to select and incorporate the most effective treatments into his practice. As a cosmetic surgeon, Dr. Schuster utilizes this distinguished training to provide his patients in Baltimore, Maryland and the surrounding areas with the safest and most advanced treatments. Dr. Schuster is an active member of several distinguished cosmetic surgery organizations including the American Society of Plastic Surgeons and the American Society for Aesthetic Plastic Surgery. He is also a member of the American Medical Association and the American Society for Laser Medicine and Surgery. He was selected to be one of the initial clinical researchers for the implementation of breast implants consisting of Trilucent™ soybean oil. He was also honored with a certificate of excellence for his research on blood supply during various face lift surgery methods. The literature he produced through this work helped pave the way for other surgeons to identify and create safe face lift techniques. Dr. Schuster continues to share the extensive knowledge of surgical techniques he’s developed as a cosmetic surgeon by teaching at Johns Hopkins Hospital in Baltimore, Maryland.